By the time Tyler turned 10, he lost his ability to walk, see, and hear, but the cause remained a mystery. His family eventually turned to University of Utah Health, where scientists searched Tyler’s DNA for clues to his condition. What they discovered led to a life-changing treatment. 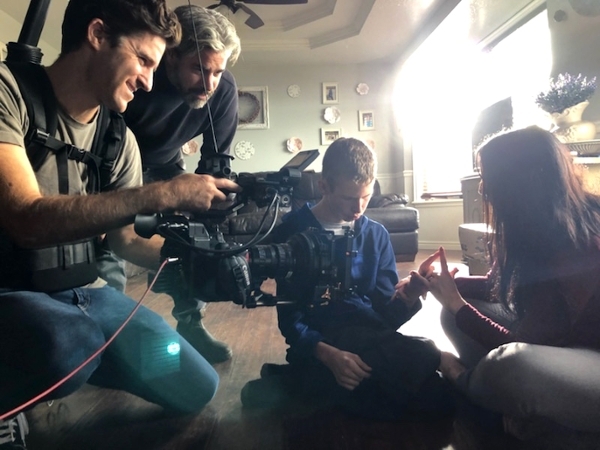 University of Utah Health is proud to present One in a Million, a documentary of Tyler’s incredible journey premiering at a sponsored event during the 2019 Sundance Film Festival. Watch the 8-minute short film using the video player below. One in a Million is up for a "Telly Award". Register and vote in the short form and branded content categories. Voting ends on Friday, April 26. Stories like Tyler's would not be possible without research and advances in science and medicine. Your generous donation to the Center for Genomic Medicine at University of Utah Health will support rare and undiagnosed disease research and will not only help find answers for patients and their families, but will also go toward developing new treatments, and maybe even cures. University of Utah Health's Penelope Program for rare and undiagnosed diseases is dedicated to solving some of the country’s most complex medical cases. The Center for Genomic Medicine is rewriting the DNA of clinical care by using information encoded within each person’s genome to inform their health care in a more personalized way. Last November, two acclaimed filmmakers and award-winning Sundance Institute veterans traveled to Utah to document Tyler’s story. Filmmaker Jeremiah Zagar also directed We the Animals, which premiered at last year’s festival and is now nominated for five Independent Spirit Awards. Ross Kauffman is the Academy Award®-winning filmmaker of the documentary Born into Brothels and Tigerland, the latter an official selection in this year’s Sundance Film festival. One in a Million was co-produced by award-winning documentarian Geralyn Dreyfous, the Kahlert Foundation and University of Utah Health.